Vice President Mike Pence did not stand for the united Korean delegation. Vice President Mike Pence is taking heat on social media for not standing for the North and South Korean teams marching together under a united flag during Friday's Olympics opening ceremony in Pyeongchang, South Korea. 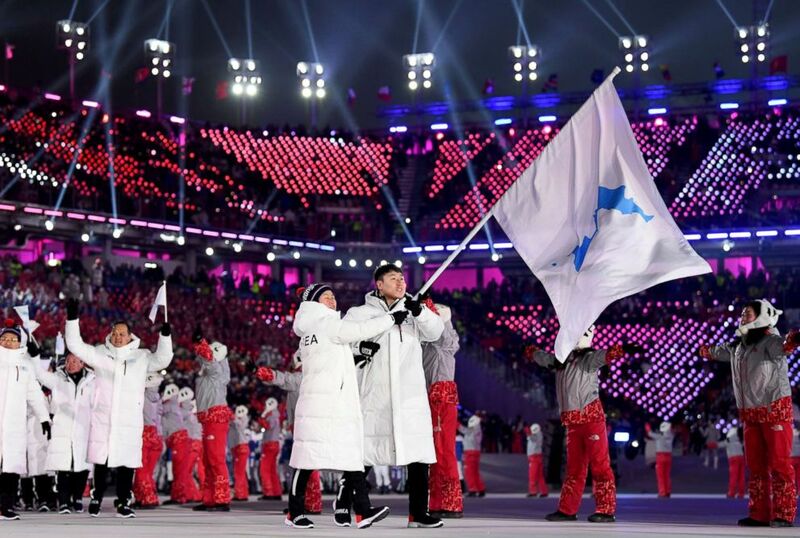 (Matthias Hangst/Getty Images) The North Korea and South Korea Olympic teams enter together under the Korean Unification Flag during the Parade of Athletes during the Opening Ceremony of the PyeongChang 2018 Winter Olympic Games at PyeongChang Olympic Stadium, Feb. 9, 2018 in Pyeongchang-gun, South Korea. Murphy wasn't the only one to note Pence had condemned NFL players for kneeling in protest during the national anthem. 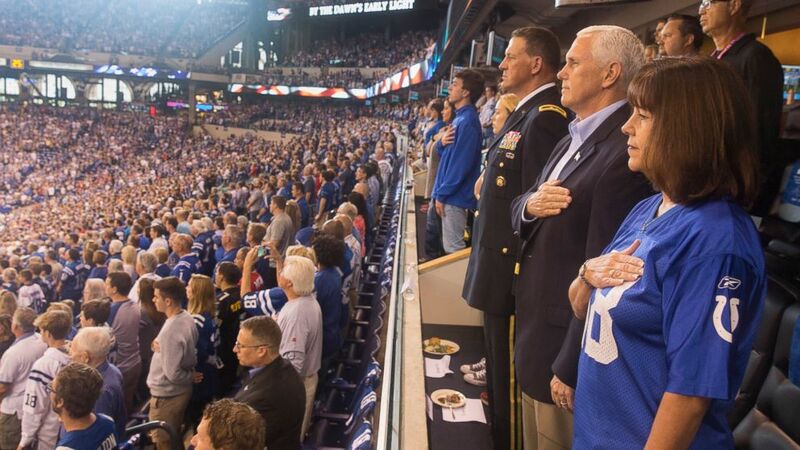 (Office of the Vice President/Handout via EPA) Vice President Mike Pence (2nd R) and his wife Karen Pence (R) stand during the national anthem before the San Francisco 49ers at Indianapolis Colts NFL game, at Lucas Oil Stadium in Indianapolis, Oct. 8, 2017. Others on social media are saying Pence's protest at the Olympics ceremony was a strong stand against North Korean leader Kim Jong Un. At the time, Pence and his wife Karen were seated just in front of Kim Jong Un's sister, Kim Yo Jong. She later extended an invitation for South Korean President Moon Jae-in to visit North Korea.